Medical establishments have to accept that the concept of customer service has arrived. In the past, people often had to see one doctor due to lack of availability. Now, doctors have to understand that patients will seek other doctors if they are not happy with their present physician. This does not mean that doctors should compromise their ethics or that they should simply tell patients what they want to hear. But you have to be profitable to stay in your practice and that means retaining patients. You cannot get by on pure skill as a medical professional. If you want to keep your patients and grow your practice, you would do well to follow some of the tips included here. Otherwise, your present patients will just head down to the next doctor listed in their last Internet search. This is easier said than done. However, when you review the steps being taken by the major hospitals and networks around the country to improve their business, the majority have to do with communicating. The big players understand what the lesser participants also need to see. Patients are not content with being shuffled around. Create an environment in which everyone feels that they have the right to speak up. 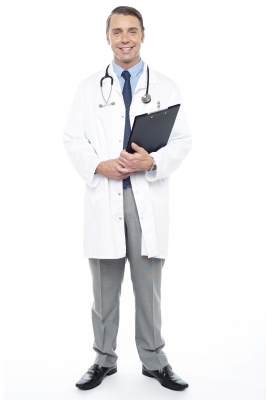 Doctors have a tendency to analyze problems and recommend solutions. Overall, this is a good thing. It is what makes them effective as healers. However, their office conversations often lack warmth and this can drive patients away. For example, a patient might come in and complain of not being able to sleep at night. At this juncture, most doctors are inclined to ferret out more details by asking about when this started and what they did to counter the symptoms. A warmer approach may express sympathy before entering into the analytical part of the patient interview. While the doctor needs to be more engaged with patients, he or she can also raise patient satisfaction by getting staff more engaged as well. Doctors, patients, nurses and office staff should not feel isolated. Avoid leaving patients in waiting rooms for too long. If they are going to be there a while, send a friendly staff member to check in on them, offer them something and give them an estimate of how much longer the wait will be. When you improve patient satisfaction, there is a simultaneous enhancement of revenue as well. These tips provide solutions to a wide variety of problems in the management of your practice.